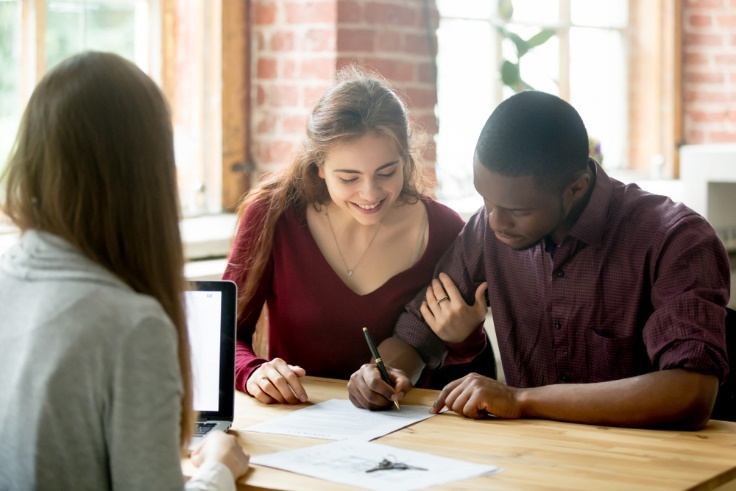 For many people, making the jump from renter to homeowner is one of the most important steps on the path to adulthood. Although renting has its advantages, owning a home is a sign of commitment, responsibility and financial security. Since a house represents the largest investment most people make in their lifetimes, it’s only fitting that the home you choose meet certain criteria. While your ultimate dream home is probably out of your price range, there’s no reason you should settle for less — provided, of course, your keep your expectations realistic. When shopping around for the perfect starter home, keep a watchful eye out for the following qualities. It’s important that any home you invest in provide sufficient space for you and your family to live comfortably. In purchasing their first home, many people seek an upgrade from apartments and condos that are sorely lacking the space department. The more people you live with, the more space you’ll need, and a home with insufficient space is liable to make its residents feel cramped and uncomfortable. No matter how close-knit your family is, everyone requires some degree of personal space. As any seasoned parent can attest, having one’s own space becomes increasingly important to children as they grow older. This isn’t to say you should refuse to settle for anything less than a mansion, but you should take the size of your family into account when weighing your options. Smaller homes may be more affordable, but if a house hardly offers any more space than your current residence, you may want to explore other listings. As anyone who’s purchased a misleadingly represented home can confirm, nothing is more vexing than investing in a property that requires substantial maintenance. No matter how good a deal you think you’re getting on a house, serious maintenance issues can bleed homeowners dry financially. In some instances, sellers are upfront about such problems and adjust their asking prices accordingly. However, some owners willfully hide problems from prospective buyers, while others are simply unaware of them. As such, it’s in every buyer’s best interest to have any home they wish make an offer on thoroughly inspected. This will ensure that you’re not hit with unexpected maintenance issues after purchasing your home can stands to save you tens of thousands of dollars. By the same token, a buyers’ home warranty can provide peace of mind to first-time homeowners looking to protect their investments. A professional home inspector is practically guaranteed to find a few minor problems with any property, and not every maintenance issue is necessarily a deal-breaker. That said, certain problems should make you walk away from properties. For example, you’ll want to avoid investing in homes with signs of mold or water damage. Not only can these issues be costly to address, they often signify much larger and costlier problems. Homes with faulty electrical and/or plumbing systems should generally be avoided, too, as such problems can put both your safety and your personal finances at risk. Furthermore, one should never spend money on a home with foundational issues. When exploring your options, take care to limit your choices to homes in nicer areas. This means looking for properties located in areas with low crime rates, decent schools and good home values. You should also take your daily commute — and the daily commutes of your family members — into account. No matter how nice your home is, living in a location that significantly lengthens everyone’s commutes is highly conducive to inconvenience and aggravation, to say nothing of increased fuel costs. There are few experiences that compare to being handed the keys to your first home. Moving into your first house represents the culmination of years of hard work, saving money and maintaining good credit. Since buying a home is such an important milestone for so many adults, you shouldn’t allow yourself to settle for less. A home that doesn’t provide basic amenities is hardly worth your hard-earned money. To ensure that you don’t wind up with a lemon, make sure to prioritize the previously discussed qualities when searching for your first house.